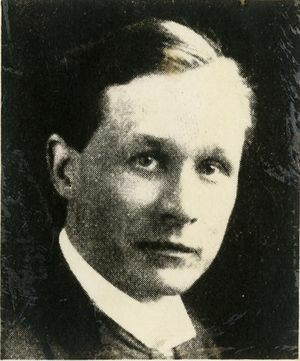 Allan B. Field was born in New Barnet, England, on December 28, 1875. He studied at Finsbury Technical College, London, 1890-93. After being engaged in shopwork and drafting, he studied at St. Johns College, Cambridge, 1896-99, and was awarded the Honours B.A. degree, and later the M.A. and Honours B. Sc. degrees. During 1900-02 he was engaged in engineering work for the British Thomson-Houston Company in London. He came to the United States in 1902, spending more than a year in the testing department of the General Electric Company in Schenectady, NY, afterward being engaged in transformer design. During 1905-08 he was with the Bullock Electric Manufacturing Company, and the Allis-Chalmers Company in the design of a-c generators and motors. In 1909 he joined the Westinghouse Electric and Manufacturing Company, being appointed engineer-in-charge of turbine generator design in 1911. In 1914, Mr. Field returned to England, becoming consulting engineer and professor of mechanical engineering at the University of Manchester, a position which he retained until 1917 when he went with Vickers, Ltd., London. In 1920 he became consulting engineer for the Metropolitan-Vickers Electrical Company, Ltd., Manchester, England. This page was last edited on 15 February 2019, at 16:49.